Start Improving Your Campaign Results Now! 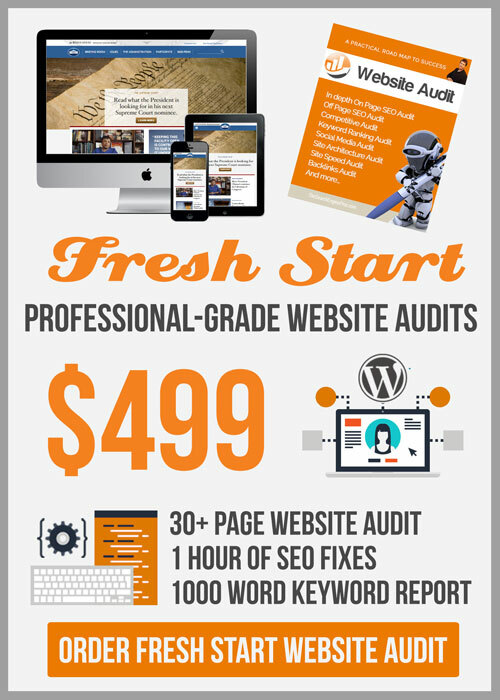 Increase your ROI & sales with a comprehensive website audit. “Adapt to the future and your business will thrive. Sometimes as business owners we become resistant to change. If we neglect our business marketing strategy, we cannot rise to the next level of performance, and we run the risk of being phased out, outranked, by competitors.” -Search Engine Pros Founder Taylor Reaume. We’ll schedule a kickoff call to better understand your business, marketing goals, and target audience. From there, we’ll start the Keyword Audit process to research and identify strategic target keywords for your website. Then, our website experts will dive into our site review. We will analyze against a specific set of best practices and score them using an easy-to-understand scoring system. We will then provide insight and actionable recommendations to improve upon these findings, which will also provide great examples for future SEO strategies. As a takeaway of our site review, you will receive a comprehensive report which reviews the state of SEO on your website and where the best opportunities for rankings, traffic and lead generation. 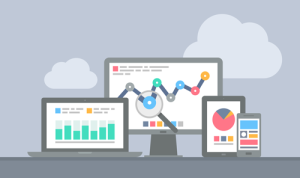 In addition, your keywords and website content will be loaded into our proprietary SEO software platform for ongoing reporting, scoring, and analysis that you can access at any time during the process. The report will help you identify areas for improvement, which you can then use to make the necessary adjustments to improve your position. 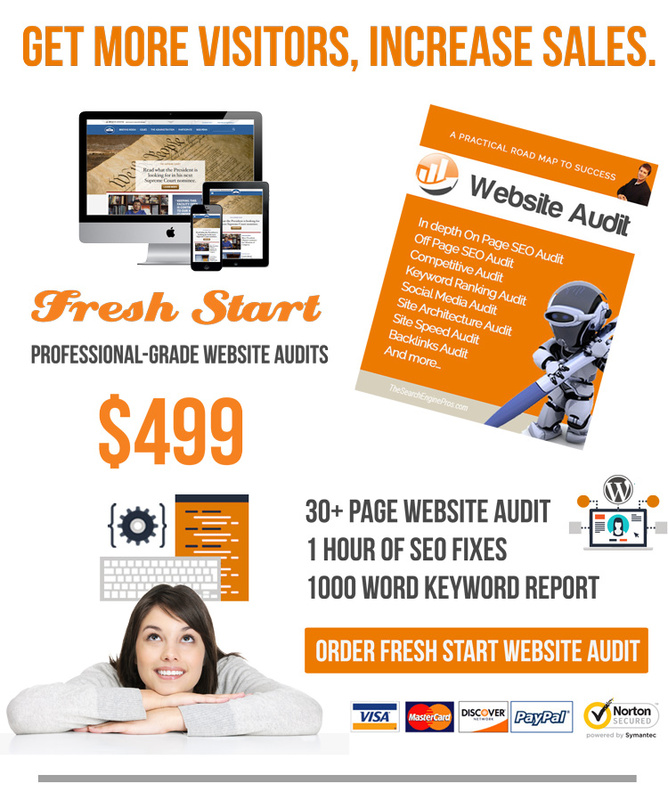 The Fresh Start Website Audit is a comprehensive report that is designed to test websites on different levels, and it shows you the areas that need improvement, as well as gives you professional recommendations that will help you achieve long lasting results. Your custom audit will be delivered to you to keep within 5 business days. Having links from other sites means that the search engines think that your site is a bit more important (hence they rank you higher). To get top ranks, you must obtain high page rank back links in large numbers, but quality is always more important than quantity. 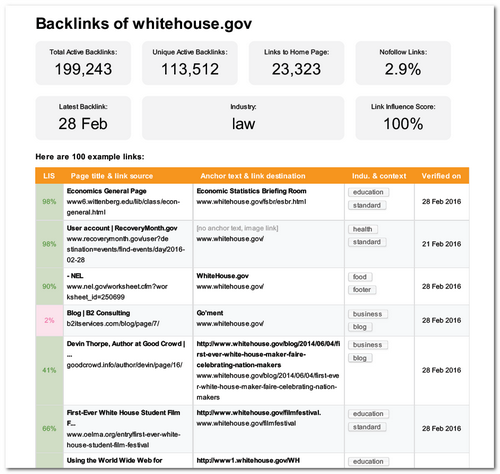 This report shows you the backlinks you currently have pointing to your web site. Your competitors back links is a great place to look first since they have already blazed the trail. This report aggregates your competitors best back link locations, send you a detailed report, so that you can initiate a link building effort to those locations. A web site should be easily accessible to the search engines – easy to index and categorize. If the search engine spider get lost at your web site, or stop crawling, you’ll never outrank your competitors sites on Google. By optimizing your web page content, you tell search engines for which keywords you want to be found. This report reveals the most important issues that are holding back your web site from getting top ranks on Google, such as duplicate content, hidden, invisible or misspelled text and canonicalization issues. Often times people will knowingly, or unknowingly “trick” search engines by stuffing paragraphs of invisible text on their web pages. Google and other search engines now have technology to seek out these black hat SEO practices. Don’t do it! You could get banned entirely. Your Fresh Start report will uncover any content blunders that could be the “invisible obstacles” for your internet business. 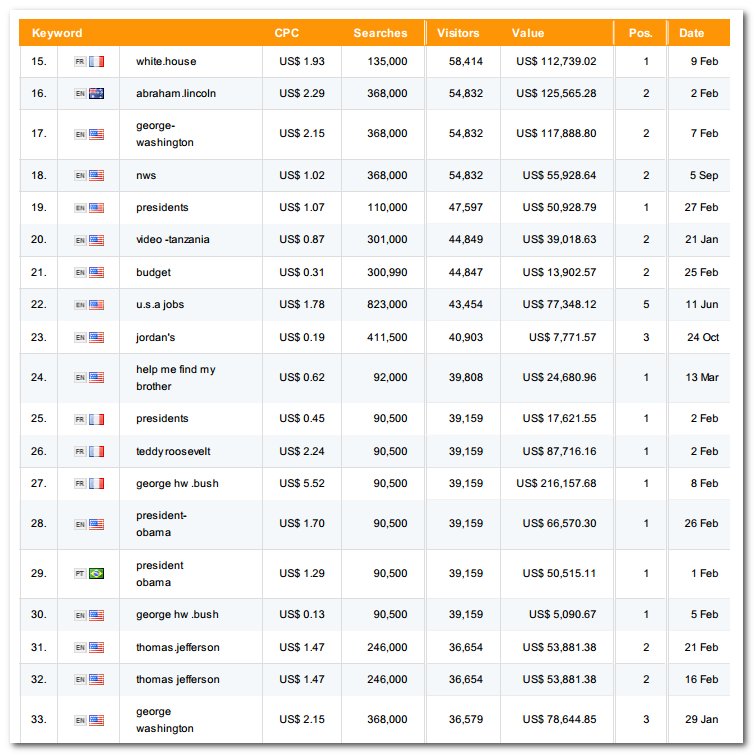 A review of top performing sites in your market to see how you compare to them in terms of SEO. Those companies that invest into deep competitor research will outflank their competitors on the marketing battlefield. 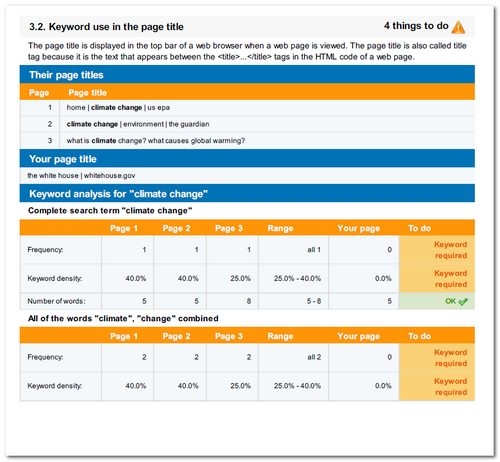 The keyword ranking audit will reveal your current website rankings on the major search engines. With this data, you will have a great resource for discovering those keyphrases ripe for optimizing your product or service pages. 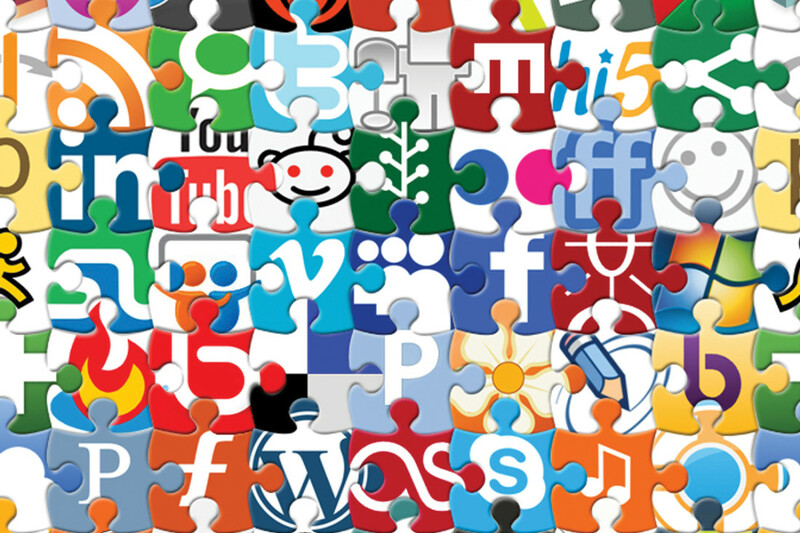 Facebook and Twitter are in many respects becoming more important than your web site. What do people say about your company and your products? As search engine specialists, we’re helping you in a unique way with your social media strategy. We’re different because we think from the search engines perspective, and we know that it’s not enough to just have a compelling copy. Marketers create compelling copy. Super Marketers create compelling copy that is also optimized for both humans AND the search engines. 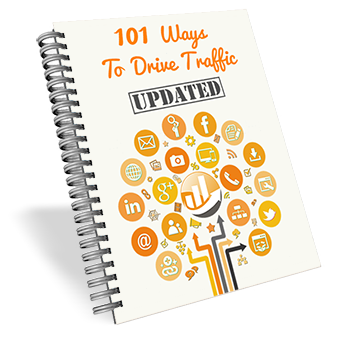 This report shows you the improvements areas in social media. 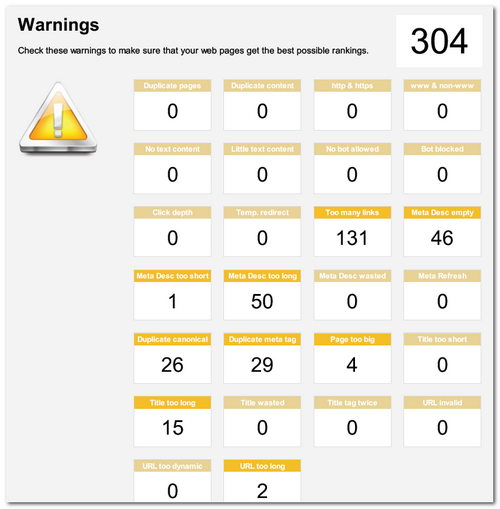 Identify any coding related errors in your website that are preventing your website from being found in search engines. Content is king online, but if your content isn’t properly organized, you might be spending too much time and money for too little return. 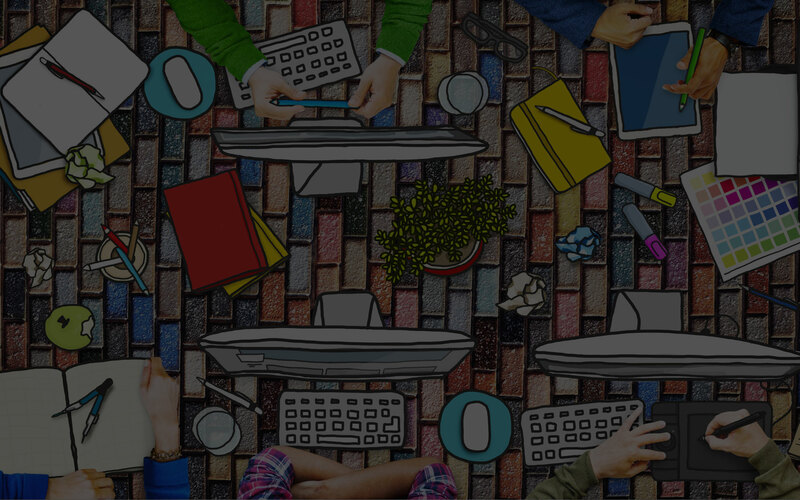 Proper site architecture is therefore the foundation of any successful internet marketing (SEO) campaign. We’ll help you learn how to structure your site so that you will wine and dine the Google spider at your site, and help you identify any navigation issues that can hinder the user-friendliness of your website. Faster loading web sites get higher rankings. 47% of people expect a web page to load in two seconds or less. 40% of people will leave a website if it takes more than 3 seconds to load. Load speed is one of the most heavily weighted factors in the search engine algorithms. By eliminating the errors that slow down your web site speed, your website will get higher rankings. In addition, a better user experience will lead to more sales. The links that point to your website are one of the most important factors in Google’s ranking algorithm. Good links can give your web pages a ranking boost, bad backlinks can get your website penalized. Having a good link structure is crucial if you want to get high rankings on Google. 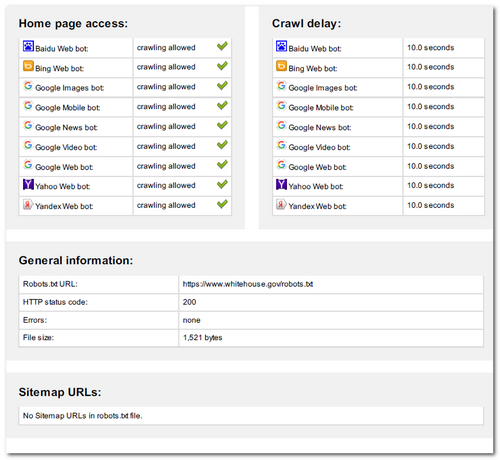 This report enables you to analyze how many links from how many sites point to your website. Which pages gets the most links? How old are the links, etc. A good backlink structure is the key to high rankings on Google. Did you know that Google penalizes websites that have many unnatural and artificial backlinks? 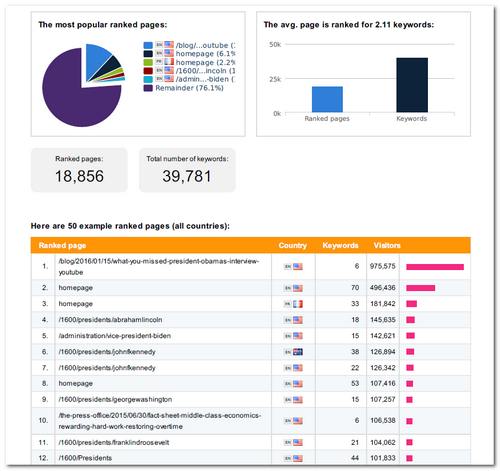 This report also identifies backlinks that harm your rankings. Every website and blog is governed by the keywords it contains. Organic search engine placement is determined by the use of niche keywords. Search engines use spiders and robots to crawl through websites on a regular basis. They identify websites and categorize them according to the content that the site contains. If you want to be found in search engines by certain search terms, you must make sure that your website or blog contains those words in your content. Keywords are the words that web surfers enter in search engines to find websites. It’s pointless to optimize your web pages for keywords that nobody uses in the search engines. For a successful online marketing campaign, you must target the right keywords. The keywords you use should be relevant for your website and web surfers should be in the right mind set (in sync with your conversion goals). If you target the wrong keywords, you will lose time and money. You will invest a lot of time in optimizing your web pages for keywords for which your website cannot get high rankings. That or you will invest a lot of time in optimizing your web pages for keywords that don’t convert to sales. Regardless, it is very important that you choose the right keywords leading to high search engine rankings and sales. Make sure that you choose the correct keyword type. One-word keywords are not very effective because they are not very targeted. 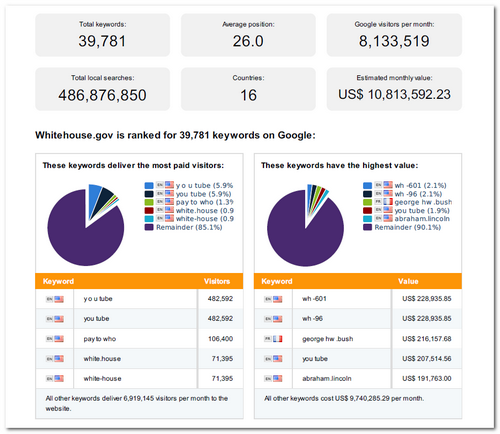 In addition, the competition for these keywords is very high and it is very difficult to get good rankings for them. Web surfers might not use the keywords you expect. For example, people searching for “optometry” might actually enter “eye doctor” or “vision clinics” as their keywords. It is important to find the keywords that potential customers really use. It may seem simple at first; just add a few of your selected keywords to your website and you’ll get the search engine placement you want. It’s not that simple. You must use your keywords appropriately and within context for the purpose of your site. 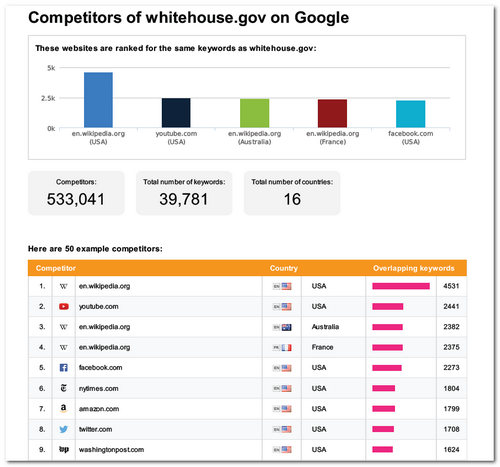 Using keywords correctly will increase traffic to your site and ultimately increase revenues. Researching the best keywords is one of the most important steps that you can take. It will ensure that you are creating content needed for organic search placement, as well as help you determine the best keywords for your campaign. We will schedule a one hour call to help with high level SEO fixes on your web site. We will recommend fixing the most critical issues first, and help you accordingly. Energize your web strategy today!